I was here: Motherland Russia – Go ask Alisa – DIY capsule wardrobe one stitch at a time! This very year, in early February, I got my guts together and decided to travel-up all the way to motherland Russia. I was moved by the idea of visiting my both grandparents and introducing my significant other to them. I also wanted to expose myself in the way I have never done before – to show my ways, my culture, my history and my motherland, that so many find hard to understand. We traveled only for 12 days, and half of that time was spent on a train or bus. Yes, traveling cross-country in Russia can be very pricey, so good old train saves the budget. It comes up to almost 1000km from Riga (capital of Latvia, my place of birth) to Moscow, then about 700km from Moscow to Cheboksary to see my dad’s parents and about 630km to Voronezh to see my mom’s parents. It was quite of adventure seeing the real side of Russia for my American party, breaking stereotypes and building bridges. We spent Saint Valentines day in the capital, and I must say, despite temperature falling way below minus degrees Celsius, Moscow welcomed us in a warm, pleasant way. Kremlin, Red Square, Saint Basil’s Cathedral and other highlights of our trip made it very special, though for me it wasn’t the first time, and not even the tenth. 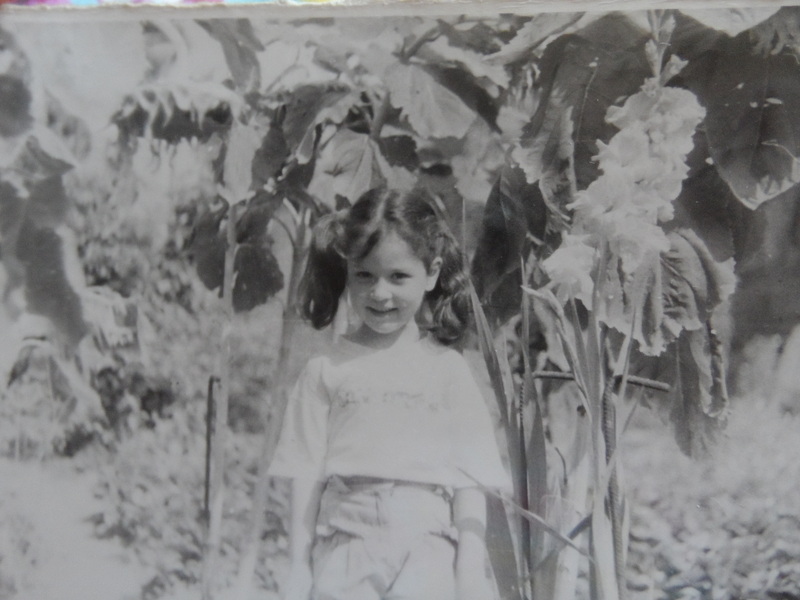 I will definitely tell everything about this trip in one of my next posts, but for now I have one very special moment to share: a black&white photo of myself at my granny’s summer-house when I was about 4 years old. I enjoyed it so much: going through my grandma’s photo albums and discovering some little precious moments. The first time back may be daunting, when you have embraced your new home far far away. You have changed. The country you left behind has also changed. It’s different and foreign. And it’s not. You’re not alone. We are all going through this. I’ve come to allow myself to look upon going back to my country as a new adventure each time. There will be things they will say that will irk you. Just let it slide over your back. What can you do? They will not change.